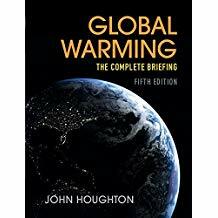 John Houghton's market-leading textbook is now in full color and includes the latest IPCC findings, making it the definitive guide to climate change. Written for students across a wide range of disciplines, its simple, logical flow of ideas gives an invaluable grounding in the science and impacts of climate change and highlights the need for action on global warming. Is there evidence for climate changing due to human activities? How do we account for recent extremes of weather and climate? Can global electricity provision and transport ever be carbon free? Written by a leading figure at the forefront of action to confront humanity's most serious environmental problem, this undergraduate textbook comprehensively explores these and other issues, allowing students to think through the problem, assess the data and draw conclusions on the action that should be taken, by governments, by industry and by each and every one of us.